The Greater Phoenix area has long been a draw for the rich and famous. Those with notoriety can enjoy the excitement and upscale draws of Los Angeles or New York City outside the watchful lenses of the paparazzi. Many celebrities find the privacy and solace they crave when buying homes in Phoenix’s most exclusive areas. 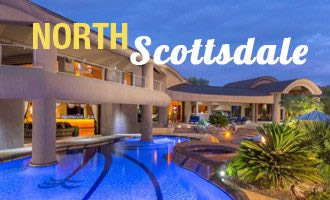 Read on to learn why Scottsdale and Paradise Valley real estate is popular with celebrities. For decades, celebrities have chosen to “get away” to Scottsdale. The elegant and iconic mid-century themed Hotel Valley Ho hosted the likes of Bing Crosby, Jimmy Durante, and Zsa Zsa Gabor. Even today, Hugh Jackman, Jamie Foxx and others escape to the Valley Ho for rest and relaxation. Many have fallen in love with the area and now call it home. Notable celebrities like former Poison lead singer Bret Michaels, former Phoenix Suns power forward Charles Barkley, “The Big Unit” Randy Johnson, and former Arizona Cardinals QB Kurt Warner own homes in Scottsdale. Former Alaska governor Sarah Palin, comedian David Spade, and others have also called Scottsdale home. Why? Scottsdale offers not only incredible luxury real estate options but also upscale entertainment and amenities. 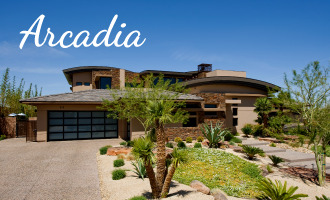 Luxury home buyers have two distinct options when looking for real estate in Scottsdale. North Scottsdale, located north of Shea Boulevard, is secluded, scenic, and status-symbol oriented. Exclusive golf communities, gated/guarded communities, expansive horse properties, and custom mansions can be found here—many with stunning views of the distinctive Pinnacle Peak landmark. There are many affluent homes and neighborhoods from which to choose, each offering unique home options and spectacular amenities, depending on your preference. Central Scottsdale attracts residents who want more urban, eclectic surroundings. 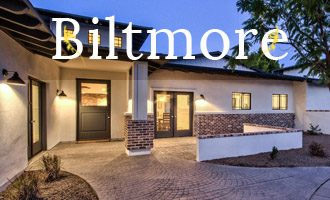 Home buyers can find a variety of luxury condos, townhomes, high-end planned neighborhoods, and luxury custom homes in the heart of Scottsdale. An experienced Scottsdale realtor can help you navigate property listings in order to help you find exactly what you are looking for. In addition to incredible real estate options, Scottsdale offers world-class resorts and spas, award-winning golf courses, high-end shopping, and a vibrant night life. Visitors and residents can enjoy a fabulous day or night out on the town or find a quiet retreat in the Sonoran Desert area. Learn more about all Scottsdale has to offer here. Posh getaway resorts like the Hermosa Inn have attracted stars like Clark Gable, John Wayne, and others dating back to the 1930s. This luxurious boutique resort still attracts high-level corporate retreats and celebrity getaways for noteworthy guests, including Olivia Newton, Jane Seymour, and others. Jay Z and Beyonce honeymooned at the sophisticated Sanctuary on Camelback Mountain, another posh resort nestled against Camelback Mountain in Paradise Valley. The area’s charm and quiet beauty has also drawn in a number of celebrities who have found the private oasis they were seeking. Tucked away on the eastern end of the Phoenix metro area, Paradise Valley is home to celebrities like gold-metal Olympian Michael Phelps, legendary rocker Alice Cooper, former vice president Dan Quayle, and best-selling fiction author Clive Cussler. Other notable residents, like heavyweight boxing champ Muhammad Ali and “Family Circus” comic strip creator Bil Keane, called Paradise Valley home for several years before their passing. Paradise Valley real estate is treasured by many because of its seclusion and beautiful desert scenery, including Camelback Mountain. As one of the fifty wealthiest communities in the U.S., it is incredibly exclusive to wealthy celebrities, athletes, business moguls, and other well-to-do residents looking for a quiet retreat. Luxury homes tend to be on larger lots with long driveways and natural or gated entrances for an additional level of privacy. There are many styles of high-end homes to choose from. Some homebuyers also opt to purchase and tear down older homes on these highly sought-after large lots in order to build to suit. 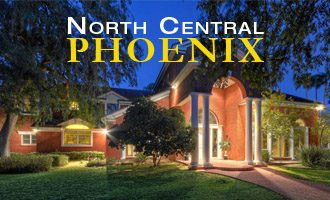 A top Paradise Valley realtor can help you find the perfect property based on your specifications. Like Scottsdale, Paradise Valley boasts luxury resorts, world-class golf courses, and fine dining with upscale shopping, entertainment, arts, and more just minutes away. Residents love the uber-exclusive Paradise Valley Country Club and opportunities to explore nature at Camelback Mountain, Mummy Mountain, and the Phoenix Mountain Preserve. 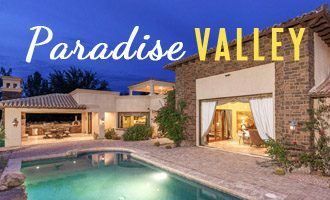 Learn more about what makes Paradise Valley so desirable here. While close in proximity, Scottsdale and Paradise Valley each have a distinct charm all their own. Affluent residents love these communities for their character, amenities, scenery, and exclusivity. Top-notch schools and easy access to major airports also make these areas very appealing. There are many elaborate custom homes and neighborhoods to choose from. 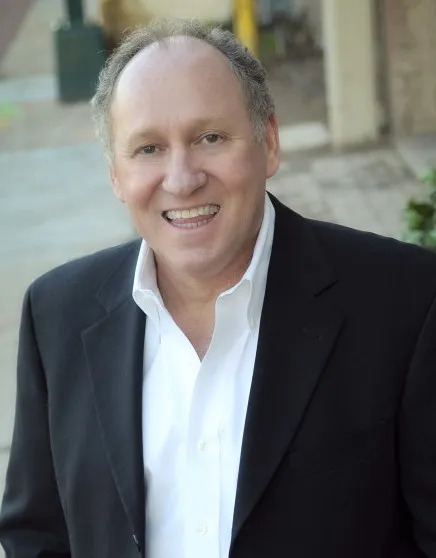 If you are on the hunt for a luxury home in Paradise Valley or Scottsdale, Thomas Osterman can help you choose the one that has the specifications you desire. Contact him today to enjoy a personalized buying experience. Interested in purchasing a luxury home in Paradise Valley or Scottsdale, but aren’t sure which community you would prefer? 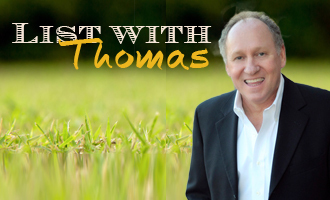 Give Thomas Osterman a call at (602) 466-1846. As an experienced Paradise Valley real estate professional, he can help you find the luxury home of your dreams in the neighborhood that best suits you.